All rooms feature phones with data port & high speed wireless Internet access, coffeemaker, iron, ironing board, hair dryer, cable TV & premium entertainment packages. 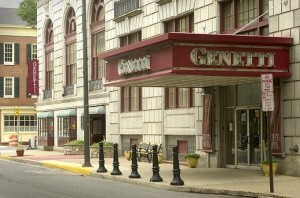 Be sure to ask for the Repasz Band Group rate of $99.95 per night single/double occupancy plus PA state sales tax (6%) and local room tax (3%). Reservations are recommended at least 6 weeks in advance. October is the month for local college homecomings, parent weekends and the hotel is filled to capacity almost every night with workers from the gas industry and tour groups. After Sept.1, rooms can be booked only if available.